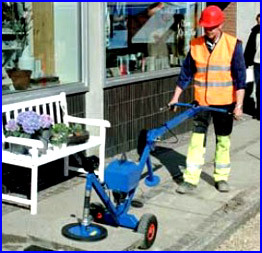 Trolley mounted vacuum lifter for easy picking and laying of flagstones, tiles etc. The machine can be manouvered by one person only. The Handymobile is collapsible for transport and easily fits into the back of a van.